The Eagles are looking for new leadership in the football program after a disappointing winless season. Coach Lance Griffin, who took over for Jay Ball after his retirement from OPS, agreed to part ways from the Central football program in November. Griffin was an assistant under Ball and a Central alumnus. During his one season as head coach, the Eagles posted an 0-9 record, which was the first winless season for the program since 1975. This change in direction had to be communicated to parents, a group that Dillon kept in constant communication with for feedback. He did not tell parents exactly why he chose to move forward with a different coach, but he does take feedback into account. “Most of my decisions and the terminations I make are based off the feedback I get from students, parents and what I observe at practices,” Dillon said. 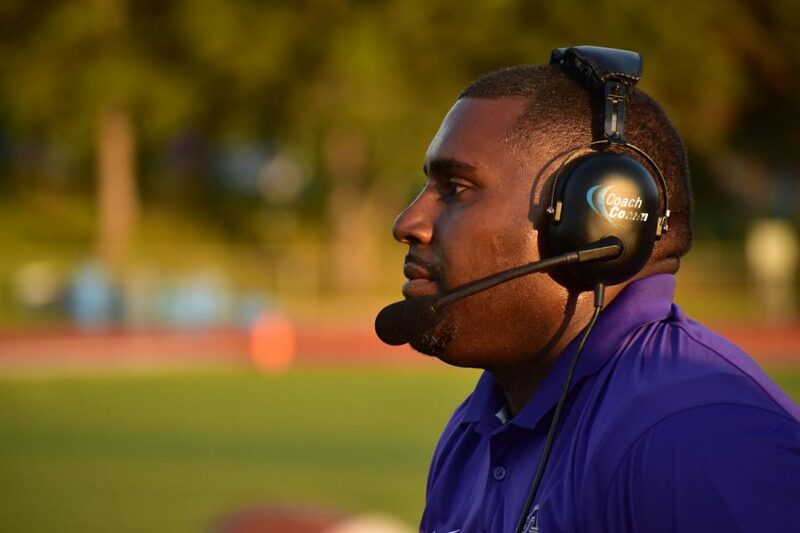 “I’m trying to get a lot of input from parents and kids to see exactly what they are looking for in the next head coach.” He said that a lot of people are giving him names of potential candidates, but he is not interested in that. Dillon wants to know what attributes would make the perfect coach and what makes these proposed candidates so special. One aspect that is core to the coaching search is finding an inside hire, someone who is in the building and accessible to students at all time. It is deeper than just accessibility; an inside hire would be ideal to create relationships with staff members and the Central community. “It helps build more of the culture that is sustainable,” Dillon said. Other characteristics Dillon is looking for in a head coach is good organization, communication with parents, humility, adaptability and an understanding of the game that he feels can make people successful. A new head coach has yet to be announced as of November 27, but even after a new coach is hired, Dillon knows the process of rebuilding will be a long and winding road.